RF Transistors and FETs. Primarily power devices from HF to Microwave / 6 GHz. All devices are new. 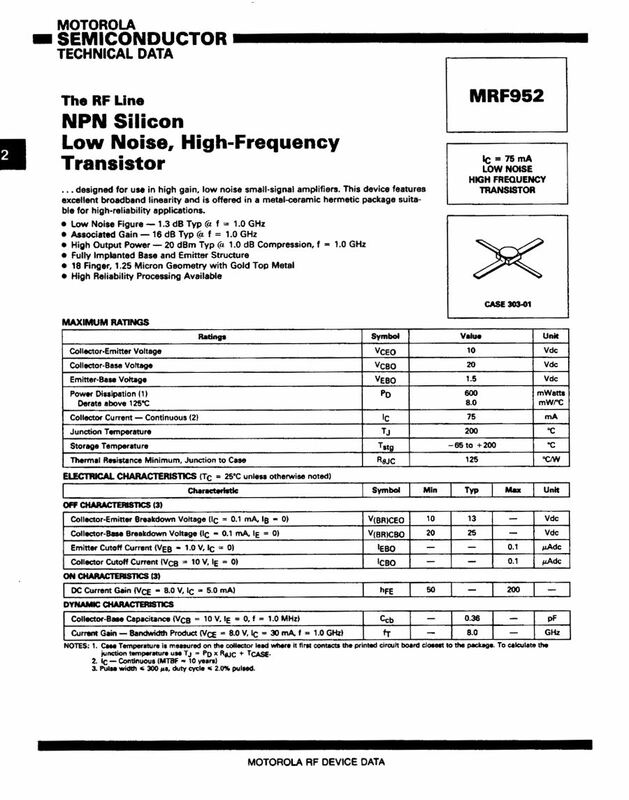 Motorola NPN RF Transistor, 600mW, 8dB gain, 4 GHz typical operation (though operates to 8 GHz), Macro-X case.